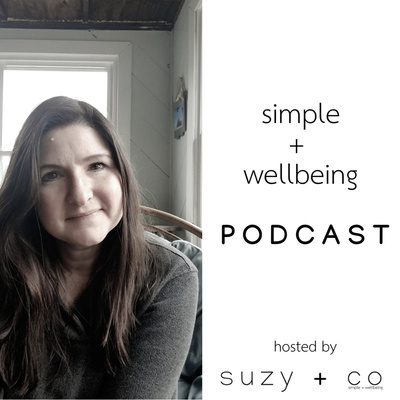 A cozy community where we talk about all things simple + wellbeing - simple nutrition, simple recipes, natural health, a simplified home. Sometimes when we are shopping we end up justifying buying items that we don't really love. Instead of evaluating them on their own, we end up comparing those items to other things in the store and end up buying the best of the worst. I want people to only bring things into their home that they love and will wear and use - not things that will create more clutter. For more tips on simplifying - go to www.suzyandco.com and sign up for my newsletter to get a free worksheet on questions to simplify your life. Goals, resolutions, themes - keep it simple. I created a few words in the beginning of the year to create my overall theme of the year. By having a general theme vs specific goals, you can work within the year and be flexible to how your life unfolds.